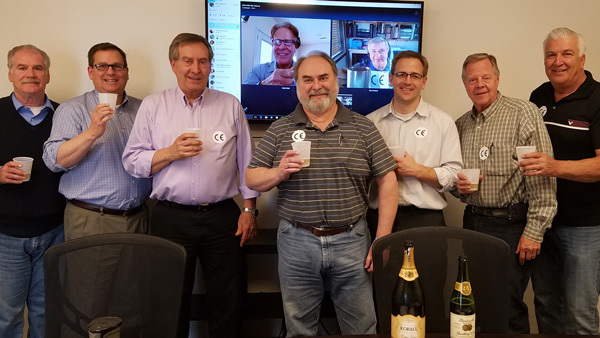 The Pyrexar team is celebrating their new ISO 13485 Certification and CE re-certification today. ISO 13485 represents the requirements for a comprehensive quality management system for the design and manufacture of medical devices. The ISO standard is also a required compliance to do business in the European Union. The CE mark, a mandatory conformity marking for products sold within the European Economic Area (EEA) since 1985, allows Pyrexar to ship medical devices to any of the 27 Member States of the EU. Much like the FDA clearance in the U.S., the CE mark is well respected and plays a key role in acceptance with regulatory agencies of other nations.